Next week we’re headed to Las Vegas for the No More Homeless Pets Conference and we’re thrilled that writer Ken Foster, founder of The Sula Foundation and author of The Dogs Who Found Me, will be joining us at the Animal Farm Foundation booth. Ken’s new book I’m a Good Dog will be released on October 25th, the first day of the conference, and he’ll be signing copies at our table! We’re especially excited about the launch of I’m a Good Dog because we got the chance to spend time with Ken while he was writing and reasearching the book, sharing Animal Farm Foundation historic photos and memorabilia with him. Did we mention we’re really excited about I’m a Good Dog? In a sentence or two, what’s I’m a Good Dog about? It’s a celebration of pit bull type dogs, their history and their owners. And it includes lots of contemporary and historical photos of the dogs. In your research for the book, did you discover anything that surprised you about “pit bull” dogs? Some of the surprises were the stories of the people who owned them a century ago. For instance, a friend told me that they had seen a children’s biography of Dr. Seuss that talked about the pit bull he had as a child, so I went on a hunt to see if I could track down a photo to “prove” it. And then, once I found the photo, I had to track down his nephew to get permission for its use. I also discovered a ton of people, including a few of my uncles, who remembered going to the Steel Pier in Atlantic City to get their photo with Petey from the Little Rascals. 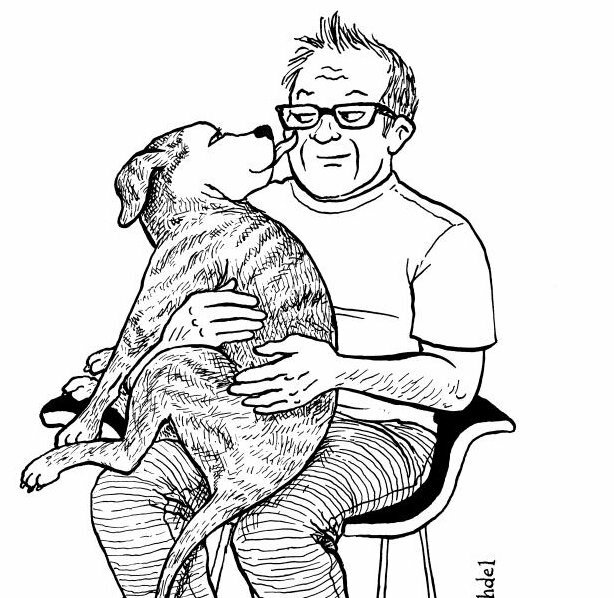 If you could make I’m a Good Dog required reading for anyone, who would it be? Kids. I think with adults, unfortunately, they already think what they think–but kids are the ones who are open to the possibility of learning the importance of treating everyone as individuals–animals and humans alike. What do you hope readers will take away from I’m a Good Dog? I think most people who buy the book will feel vindicated to see and hear what they already know about these types of dogs. And I imagine they might also press the book into the hands of a few friends and relatives they hope to sway toward the side of good. You’ve been writing about “pit bull” dogs for a while now. Do you think the public’s perception of “pit bull” dogs is changing? If so, what are some of the challenges we still need to tackle? I think things have changed a lot. We have books about pit bulls that are bestsellers now, when just five or six years ago, publishers didn’t want to even consider a book about “those dogs.” But obviously, there’s still a ways to go. There’s still a ban in Denver, there’s still that crazy law in Maryland, and there’s still that crazy woman who runs a website devoted to misinformation about the dogs. Bonus question: The phrase “furkids” – yay or nay? Yeah, I don’t have much patience for anything that equates dogs with children, because they aren’t the same thing and they really don’t need to be. I understand people say “they are like children” as a way of expressing that they are family, but I think our families can include animals without turning them into “furry humans.” Our dogs have a huge value just as they are. 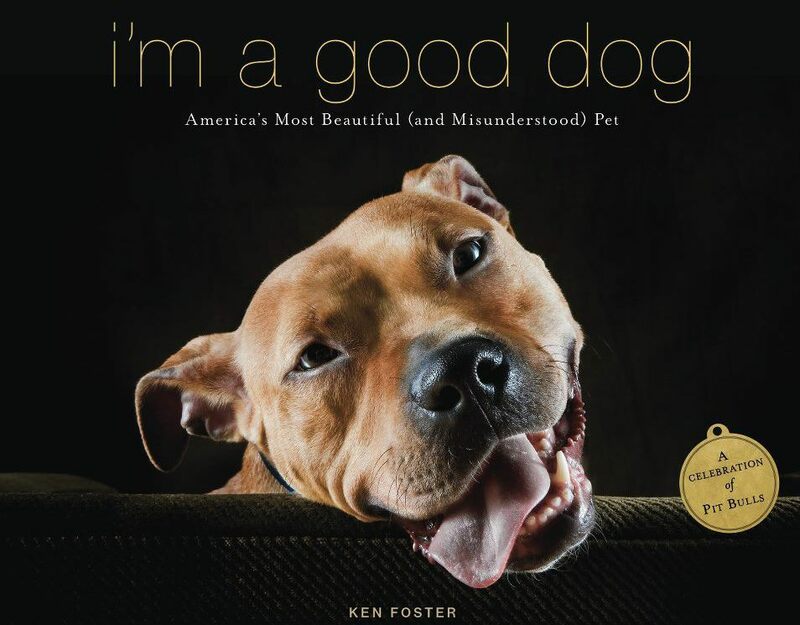 If you’d like to meet Ken and buy a copy of his new book, I’m a Good Dog, don’t miss the Animal Farm Foundation booth at the No More Homeless Pets Conference in Las Vegas, NV October 25th-27th. For more about Ken Foster, please visit his website, and buy a book!